Should Your Child Learn Another Language? In the word today, many children are exposed to or use more than one language. This may be the case for various reasons. In some instances the child’s parents are not fluent in the majority language spoken in the community and continue to use and expose their child to their home language. 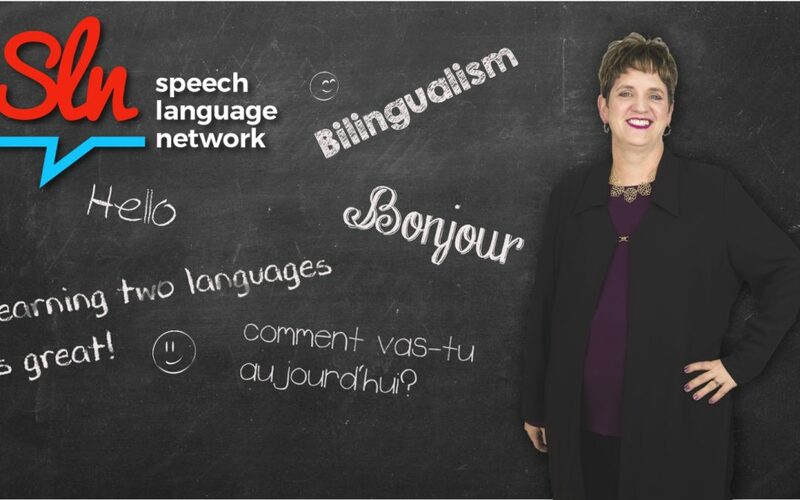 In other instances, bilingualism is a choice and parents may decide to expose their child to a second language, even if they do not speak the language themselves. In Canada, over 10 % of the population speaks a language other than English or French in their home. That is over 3.5 million people and the numbers are rising. Worldwide there are more second language speakers of English than native speakers and there are as many bilingual children (a child that can speak more than one language) as there are monolingual children (a child that speaks one language). Question; Should I register my child in an immersion program? Answer; If, you are fortunate to have the opportunity to register your child in a daycare, preschool or school with an immersion program, take the opportunity. Young children all around the world can and do acquire two languages simultaneously. Furthermore, in many parts of the world, being bilingual is the norm rather than an exception. Question; Should I stop speaking my native language when my child starts attending an English school or daycare? Answer; No. Research shows that children who have a strong foundation in their home language are able to learn a second language more easily. Parents are encouraged to speak to their child in the language that is most comfortable to them. This will promote positive interactions and provide the best language input to their child. Question; Will my child lose their native language if they don’t hear it spoken to them or around them? Answer; Yes. Although they will not lose all of it, research has demonstrated that a child is at risk of losing their home language if they do not hear it spoken to them and around them. Children need to hear language in order to learn and maintain their language skills. This is especially true for children who are exposed to more than one language. What are some of the benefits of learning two languages? Bilingual individuals have been shown to be more creative, better at planning and solving complex problems and able to focus their attention on relevant information than compared to monolinguals. This is a result of the constant need to shift attention between languages. Bilingual children often demonstrate stronger overall skills in their primary language as well as their secondary language as a result of improved metalinguistic skills which is the ability to think about language per se, and understand how it works. Being bilingual may provide more opportunities for employment later in life. How can I help my child learn a second language? Continue speaking to your child in your home language (a strong foundation in a child’s home language will help them learn a second language) – use short grammatical sentences when speaking to your child. One of the best ways to introduce your child to a second language is to speak it at home or take advantage of immersion programs offered in your community. Learning a second language can be hard so remember to be patient and take your time. Most importantly, focus on making it a fun and memorable experience for both you and your kids.